Stephen has been an International and national selling artist for many years and continues to explore his passion. 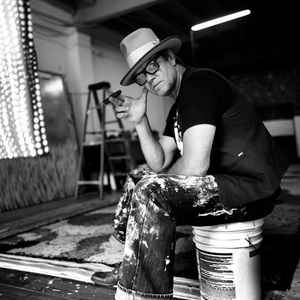 As a young boy from the outback town of Broken Hill, Australia, Stephen showed an early talent for drawing, painting, finish carpentry and other artistic endeavors. This energy and passion for the graphic arts was temporarily put on the back burner. Stephen actively participated in boxing and was sponsored by Suzuki for competitive motocross racing, before embarking on a subsequent fifteen year international career as a professional classical ballet dancer. Upon his retirement from the ballet world, he went back to his family's professional trade as a finish carpenter, for which he was trained. At the same time, Stephen continued to pursue his passion for art as another creative outlet. This, however, was not the only avenue he found to release this energy. In addition to painting, Stephen is a country music singer/songwriter, signed to a record label in Australia (Red Rebel Music). He released his first music CD Broken Hill in February 2007 following with a single duet with Australia's Queen of Country Music, Tania Kernaghan, called 'Let's Fall in Love Again'. Stephen's most recent album, which was released in 2009, is titled 'Restless Soul'. It is imaginable that the reader will think the resume of this artist may appear at least exaggerated, and possibly fictitious. However, all of the descriptions of Stephen's journey are in fact very true. It is important to make note of this, as every element of Stephen's life influences the next, and is thus reflected in his artwork. Stephen was inspired and learned from some of the most renowned artists in Australia and even the world, prominent artists such as Pro-Hart, also from Broken Hill. In addition, during his ballet career, he was fortunate enough to work with Lindsay Kemp, an admired choreographer, director, and artist. These individuals and others certainly had a marked impression on Stephen's aesthetic outlook.